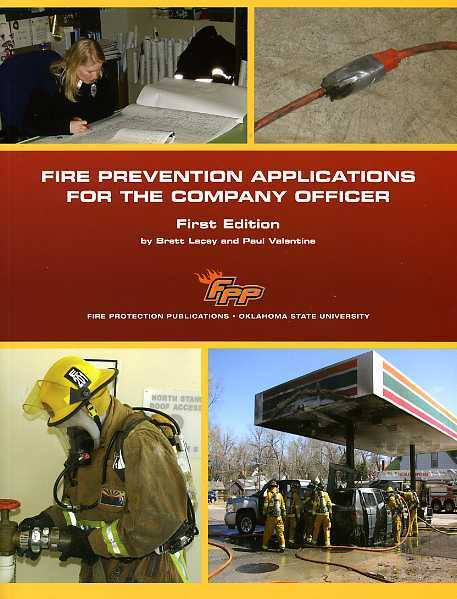 Fire Prevention Application for Company Officers is a condensed version of the original Fire Prevention Applications manual that is intended for use by company officers and other line fire personnel who are not full-time fire prevention officers. It provides basic fire prevention information to help street level personnel recognize critical fire prevention issues that may be easily corrected or that require the attention of assigned fire prevention personnel. This text is ideal for company officer training classes and promotional testing.